Are poundland sell iphone 6 chargers safe to use? Will I burn my house done if I buy one? Noble Trident In Ear Monitors (IEMs) – earphones, to most. 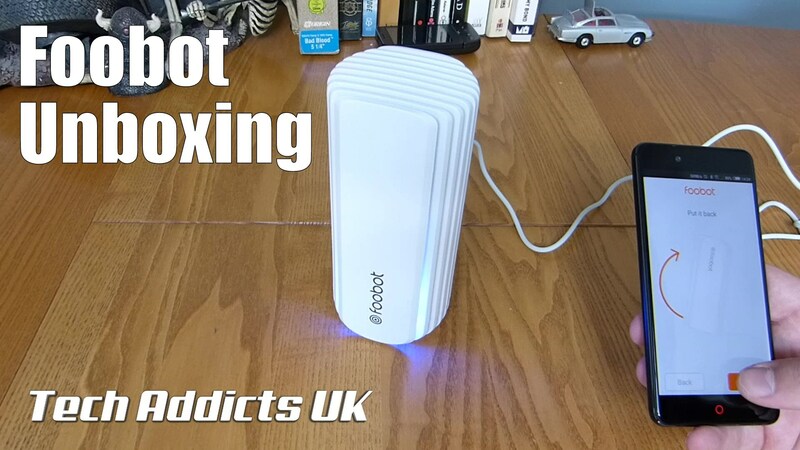 Airboxlad has sent over the Foobot for a little assessment. This box of tricks analyses the air in a p[particular room and gives you an outlook on how is it. 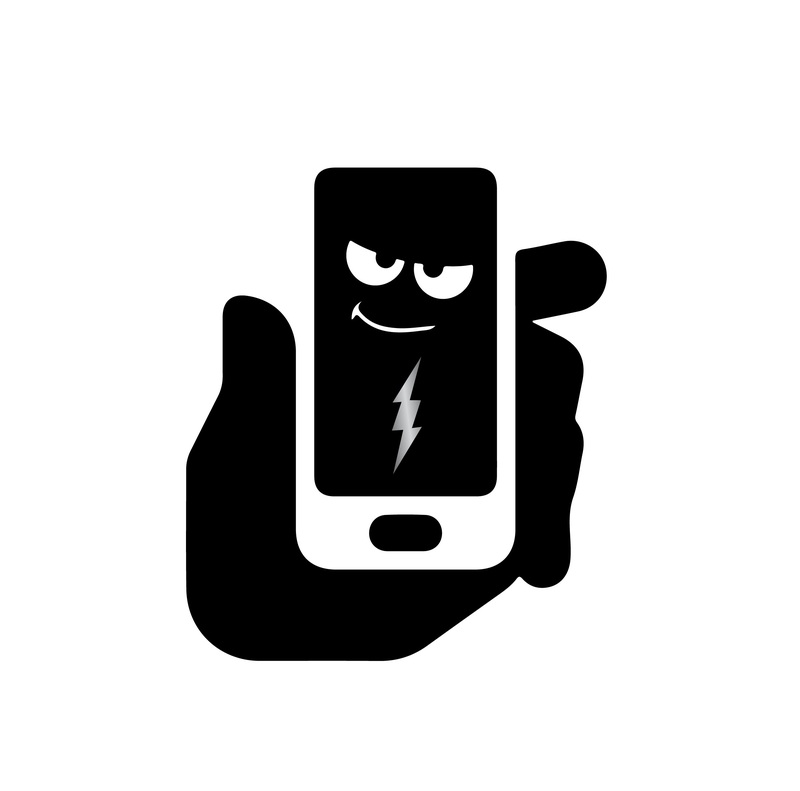 Interacting with an app on your phone you can keep up to date with the air quality in that room wherever you happen to be. Alerts can be sent to you if there is a change. Foobot uses internal sensors to check for pollution in the form of chemicals and particulate matter, which are up to five times more common indoors as a result of confinement and alerts you via its companion app and the LEDs on the device itself. • VOCs – Volatile organic compounds, toxic gases like formaldehyde and ammonia. This sensor is also sensitive to carbon monoxide, a potentially dangerous gas. • Carbon dioxide – Exhaled naturally from humans. Not itself harmful, but indicative of poor circulation. This is measured via data from other sensors. • Humidity – Low humidity can cause irritation. Excessive humidity let mould and dust mites grow. You can grab one off Amazon when they can keep them in stock! LED lights have become a viable option for UK households wanting to make energy and cost savings, reveals a new survey by reichelt elektronik. Lasting significantly longer than conventional lamps, a third of respondents say energy savings are the biggest influencer when it comes to buying an LED light but upfront costs remain a barrier to purchasing. The survey revealed that the benefit of these energy savings is of greater concern than luminosity (21 per cent) and colour (9 per cent). The findings also show that energy efficiency is the most important factor for a quarter of Brits when buying any lamp, as consumers seek the long-term cost savings on offer versus conventional bulbs. 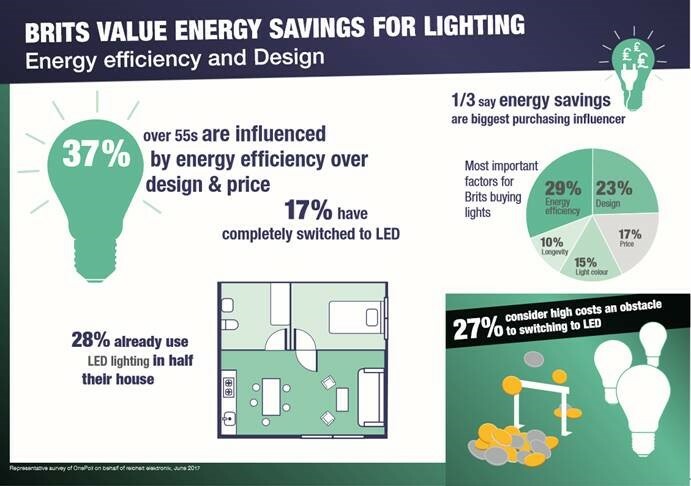 Efficiency is of particular concern to over 35s, with 37% of over 55s saying it influences their choice of lighting. Design with a wide range of lighting options (23 per cent) is the second most important factor for Brits. Price only ranked the third most important purchasing factor overall. This shows consumers are becoming more concerned with qualitative aspects such as energy savings and design when choosing lamps. Consumer needs have shifted as they look for ways to become as energy efficient as possible instead of being primarily influenced by upfront pricing. 73 per cent of UK consumers are already reaping the benefits of using LED lamps in their home, with 17 per cent of respondents having already switched to LED lights completely. Over a quarter of Brits (28 percent) already use LED lighting in more than half of their household and 29 percent have converted a few lamps (less than half) to LEDs. However, costs are still cited as the biggest barrier to switching to LED lighting with 27% finding it expensive to do so. You can grab one from Amazon for £105 currently. Tech Addicts UK Podcast – 12th July 2017 – Prime deals and are Flagships overrated? Picking up great value for money seems to be getting more and more common these days. Vodafone has really put together a very nice combination of high-end features combined with quality materials and a cheap price tag. 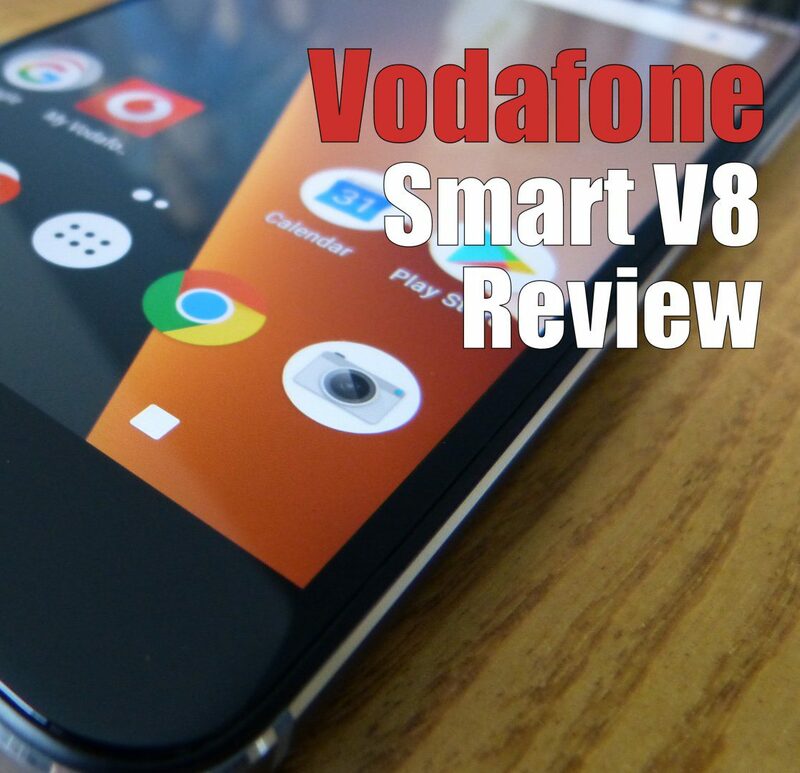 The Vodafone Smart V8 is pretty amazing value for money and worth checking out. Looking around the device on the top we have a small microphone hole plus a 3.5 mm headphone jack. There are also two incisions for the antenna array. To the right of the screen is the simple volume rocker, changed from the previous Smart Platinum and Smart Ultra design, this is now has a beautifully milled bevelled edge to the rocker as opposed to the textured approach last year. At the bottom are two grills for the mono speaker, the one to the right has a speaker behind it. Plus a microUSB connection, again there are two incisions for the antenna array. To the left of the screen is the SIM card tray which also doubles as a microSD card reader. Below this is the power button with similarly bevelled edges. It’s worth noting from last year to this year they have relocated the power button to the left-hand side of the device which may take some getting used to, however, it’s hardly a cause for concern. To the rear is a slightly pronounced 16-megapixel autofocus camera with a LED flash to it right. 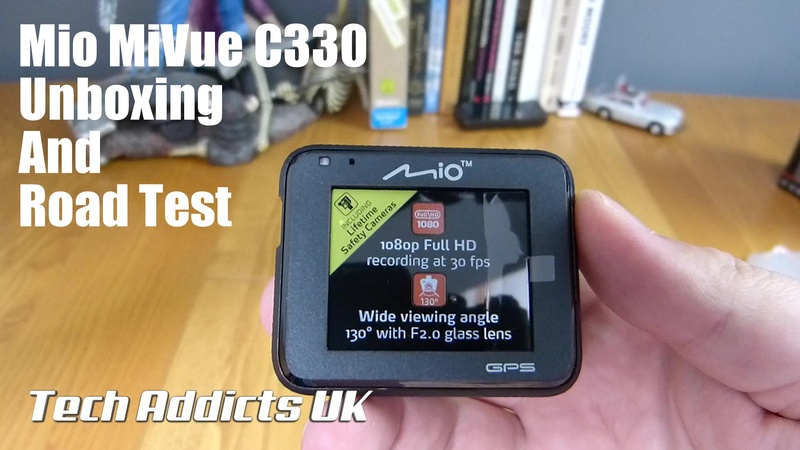 The camera is capable of capturing video at 1080p, 30 frames per second and we’ll get the results later on. Below this is a fingerprint reader. Further on down the shiny brushed Steel rear is the Vodafone emblem. To the top and the bottom are pieces of textured plastic again to help with the antenna array. The front of the device has a 5.5 inch LTPS IPS LED LCD capacitive touchscreen with a resolution of 1080 by 1920 working out at a PPI of 401. Whilst there is no Gorilla Glass on here Asahi Dragontrail has been employed instead. Inside the device is a Qualcomm Snapdragon 435 backed by 3gb of RAM and an Adreno 505 GPU. This octa-core 1.4 gigahertz processor is hardly the speediest on the block however it certainly does manage to make easy work of most day-to-day tasks. Flipping through various social media applications I never noticed any slow down and gaming proved to be quite successful especially with some high end games like Grand Theft Auto. A 3000mAh battery sits inside, and coupled with the low powered Snapdragon 435 processor is more battery than you would need for a full day of heavy use. Whilst the smart V8 does not manage two full days on one charge it gets very close. Vodafone have kept the device almost stock save for a few Vodafone-branded applications to assist with calling, messaging or just general assistance on the go there are a few extra applications that have been thrown in that may assist in day-to-day business, for example the private space application that allows you to lock down various portions of the phone or applications to avoid information being compromised if the phone is lost. Interestingly enough, Google cardboard applications are installed as default which we tend not to see terribly often. One thing that really surprised me for £150 is the camera. It really is very good, examining some of the photographs taken in broad daylight shows little degrade or pixelation and the colour representation is quite faithful. Even in low-level light the camera and LED flash function very well and proved to be fast and responsive. The digital zoom works quite well, there isn’t a huge amount of loss in the image once zoomed in. There isn’t a tremendous amount of toys built into the camera save for some filters, a Panoramic function and some HDR settings anti-shake have been included, you can adjust the function of the volume keys during picture taking, set up camera quick launch using the volume keys and adding watermarks. Video footage is passable, not the hottest quality in town, but far from horrible. The footage is uploaded directly to Youtube from the phone and the only compression to the video is that which Youtube applies. The microphone is incredibly sensitive, picking up some heavy breathing from me, distant grumbles from the dogs and managing to filter out a some of the wind noise. Here is a selection of images from the camera. Colours are well represented and manage a depth we would expect from a higher end phone. To the front of the device is an 8 megapixel camera that is perfect for selfies and works rather well in low-level light without the assistance of a flash. I expected this to be fairly rubbish however it works out very well and Vodafone has even taken the time to add a few extra features, for example, being able to add smoothing to the skin in the beauty function. If there was a missed opportunity I was to complain about it would be the fingerprint sensor as, of this time of the review, I was unable to find any way of adding any extra features to the fingerprint sensor other than unlocking the phone as with other phones on the market we have seen some clever additions added to the fingerprint sensor. The phone is originally built by ZTE, who have really upped their game in the last five years to become one of the major competitors on the market. Interweaving this with Vodafone’s business minded network put together a pretty lethal combination in a very competitive world and bringing an excellent option for business users everywhere with an exceptionally competitive price. Coupled with Vodafone’s recently upgraded 4G network this will provide terrific communications for a small and growing business. With the Vodafone Smart V8, it’s hard to believe their flagship is a budget phone. However, it really shows how budget phones are closing the gap and catching up on the overpriced flagships being produced by companies for four or five times the price. Right now I would consider using the smart V8 as my main driver if I was on the Vodafone network as this phone easily handled everything I have thrown at it, and getting me through the day with plenty of juice to spare. Toshiba Exceria M302 64GB microSDXC 90MB/s 4K UHS-I U3 Class 10 Memory Card.Was 24.99 now 17.99 delivered.